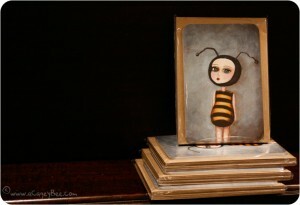 Bee Girl postcards are now in the shop! They’ve got a nice heavy weight, high gloss and rounded corners that I think give them an extra special touch. Their blank white backs with a simple Cagey Bee logo make them perfect for sending a thank you note, tucking into a gift or decorating your fridge or bulletin board. 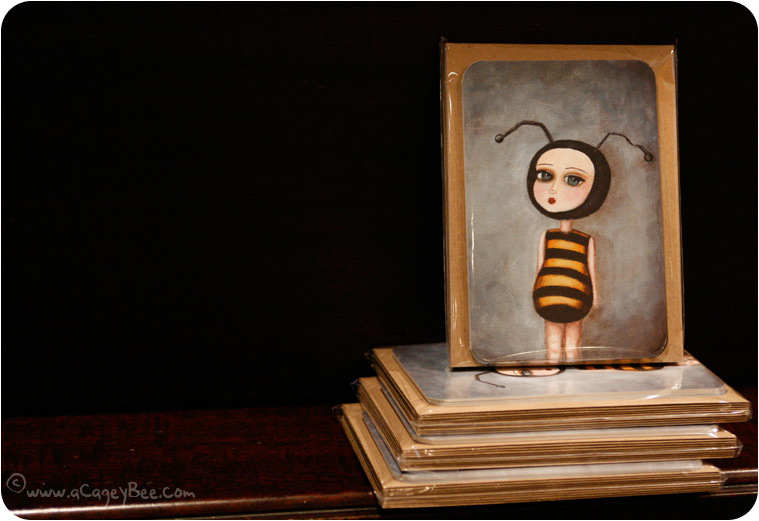 Postcard packs come with 10 notecards sized 4 X 6 inches and 10 brown bag envelopes made of 100% recycled material that are lovely to the touch. I have two more designs to release, plus a 4 pack with one of each design. Yay!